A Tropical Bird Touches Land, and Our Hearts. Hurricane Jose really packed a punch. We still have birds in our care that were washed in as a direct result of the storm. 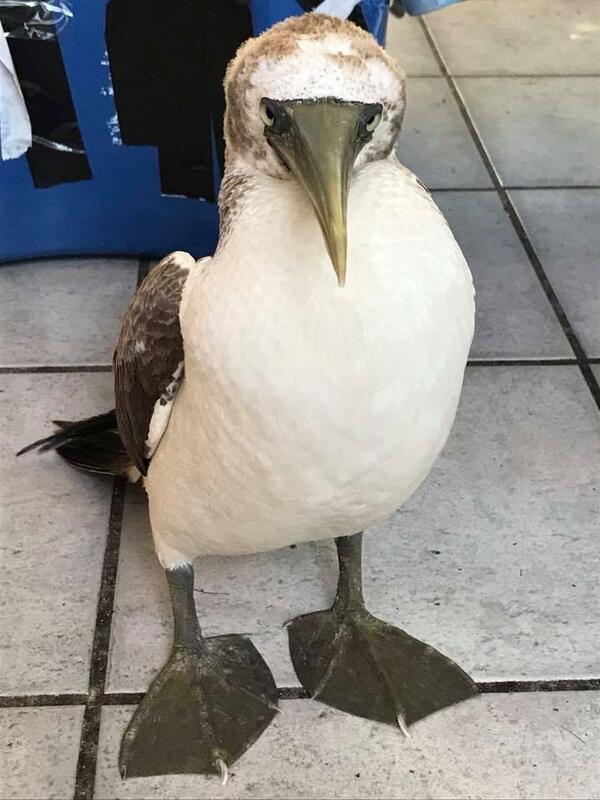 You may have heard about one of the "extra special" patients we received with the storm, a rare tropical visitor known as a Masked Booby. This is a species that has never been recorded on Massachusetts soil. A species that normally resides in southern oceans, such as the Caribbean. This bird was likely carried over 1,000 miles by Hurricane Jose. Sadly, the bird was gravely ill, and did not survive despite our intensive care. Despite the sad news, the bird's legacy continues, and touched the lives of people all over the globe. "Why Some Bird Species Have it Worse After the Latest Hurricanes"
We still have birds from the wake of the Hurricane! Please consider making a Donation today to support their care. Even $5 can make a difference in the life of an animal. ﻿It's Fall. Migrant birds & seabirds abound! Help us to help animals weather the storms and get them back on their feet! 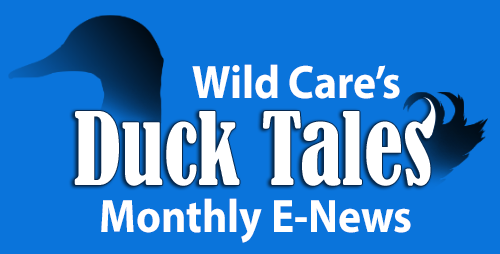 Wild Care Now Sells Merchandise! One-of-a-kind designs featuring released animals and current residents! Prices: T-shirts are $20. Long-sleeved shirts are $25. Sweatshirts are $45. 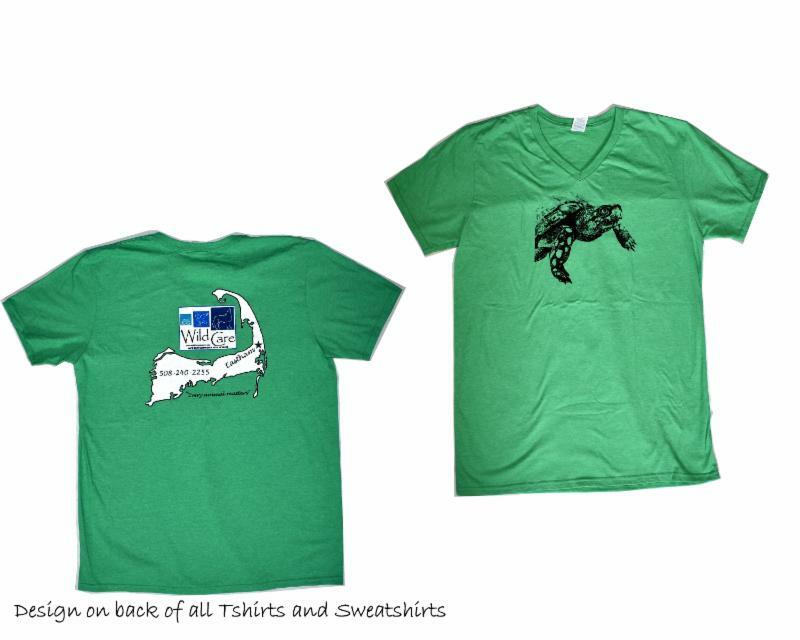 Purchase your t-shirts and sweatshirts at Wild Care on Wednesday – Friday, year-round. ﻿10AM -1PM. 10 Smith Ln. Eastham. 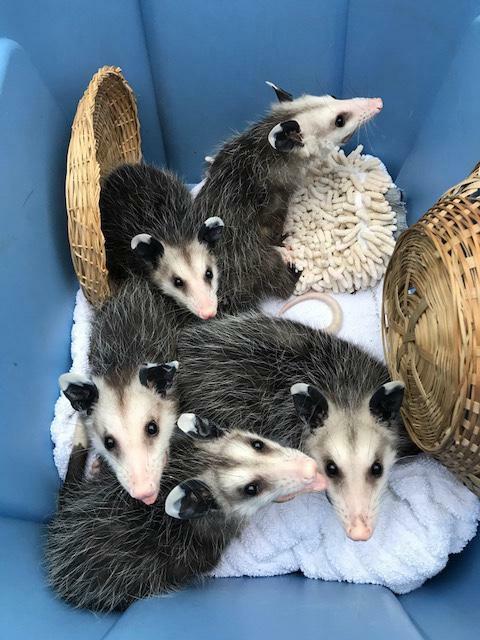 Early this summer, a technician from a veterinary hospital called us looking to find a place to bring a litter of 10 baby opossums. We said "Yes!" A concerned citizen had brought in an adult opossum that had just been hit by a car. They accepted the animal, and saw that the patient was a mother with babies in her pouch. She had severe injuries and was euthanized by the veterinarian. Fortunately, the vet-tech had some experience with wildlife and knew how to keep the infants warm and hydrated. This was exciting and different from the usual dogs and cats at the office, but she knew the best thing to do was to find a wildlife rehabber to take the babies as soon as possible. She had done a great job with them. Their feet and noses were dark pink, their eyes were like bright, black pearls, and their fur was clean and soft. This made our job easier from the start. Our interns really enjoyed the little guys. Believe it or not, opossums can be charming! They were weighed and cleaned and fed daily for many weeks. Their habitats expanded in size and they remained wild - did not want us near them. This is all good. They were separated into two groups when size differences were becoming apparent. Ten growing opossums in one habitat all vying for food could be a potential problem. When release time came, one group of five went to Chatham for release and one group of four went to Brewster - yes four. One of the set escaped in our barn and we saw evidence of its residence for quite a while! This was actually more like nature in that one-by-one as possum babies get older and heavier, they drop off the mother and wander off on their own. Success! Read Our 2017 Summer Appeal Letter! The Challenge of the Summer! Turn up the sound! Listen to our swifts being fed. Notice the tiny sheaths around their incoming feathers, giving the feathers around their heads a "spiky" appearance. Don't Miss Nauset Disposal's Annual Trash Bash! Wild Care is once again a recipient of Nauset Disposal's Annual "Trash Bash" Fundraiser. 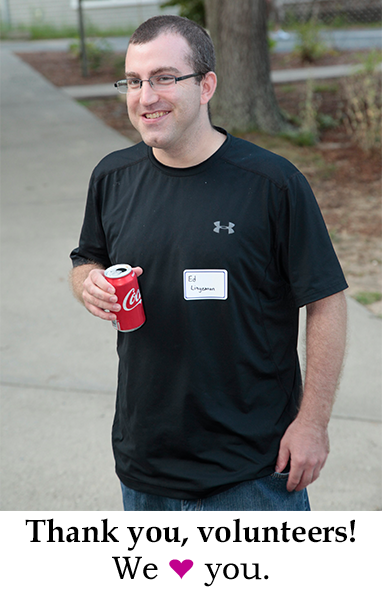 One of the most fun events of the year! Be sure to get your tickets before October 15th for $20! Tickets are $25 after 10/15. Visit: http://nausetdisposal.com/trash-bash-2016/ for tickets & info. Thank you Arnold's Lobster & Clam Bar! On September 8th, Arnold’s Lobster and Clam Bar owner Nate Nickerson donated all proceeds from the day, in honor of Wild Care - $9,000! 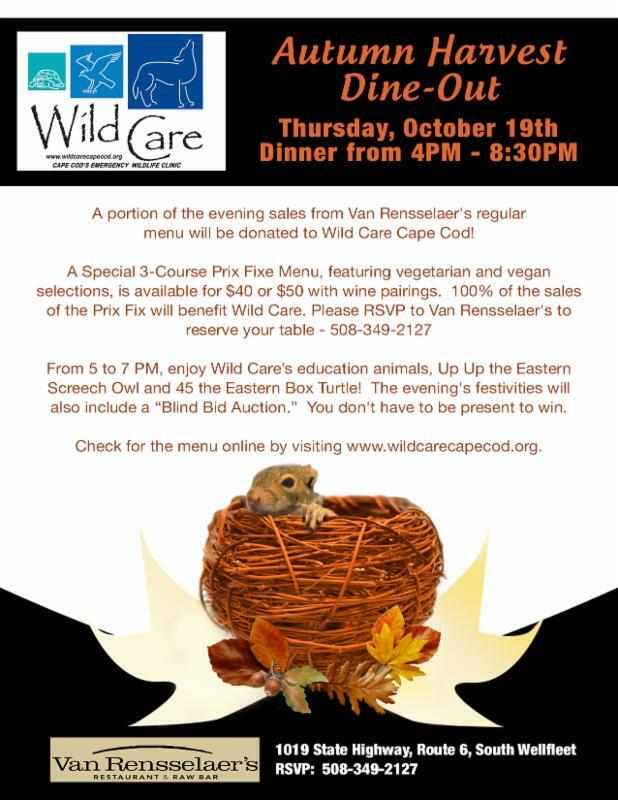 This fundraiser helps us to provide quality and individualized care for injured wildlife, and to continue to raise awareness about the impacts wildlife are facing on Cape Cod. 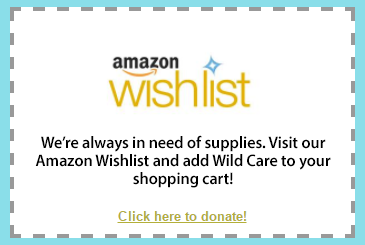 Wild Care is dependent on public donations to run our operations. 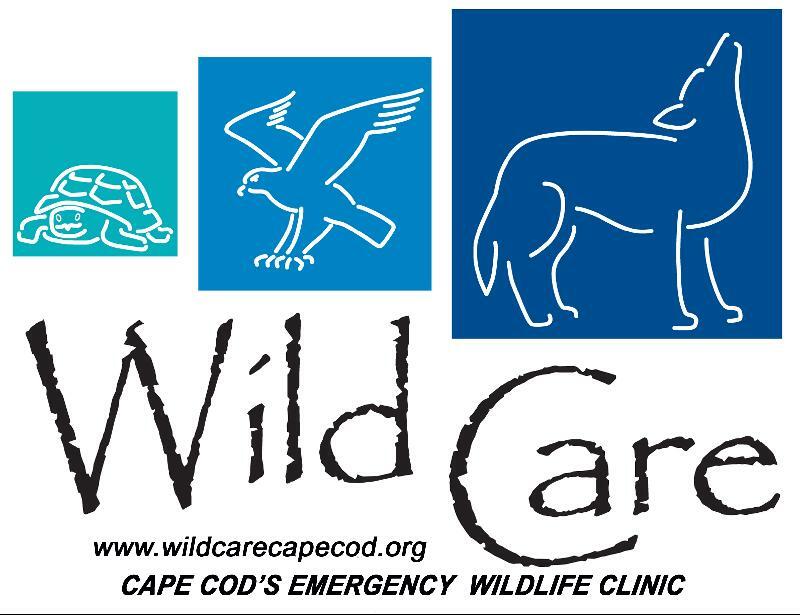 Wild Care does not receive any state, federal, or municipal funding, and the cost of running Wild Care for one month during the summer is upward of $20,000. We have received over 1,500 animals this year. This donation comes at a time of need, and we are incredibly grateful for Nate Nickerson’s kindness and his love of animals. Thank you Arnold’s, and thank you to everyone who dined on the 8th to support Wild Care! 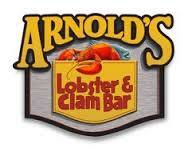 Arnold’s Lobster and Clam Bar is located on 3580 Rt. 6 Eastham. 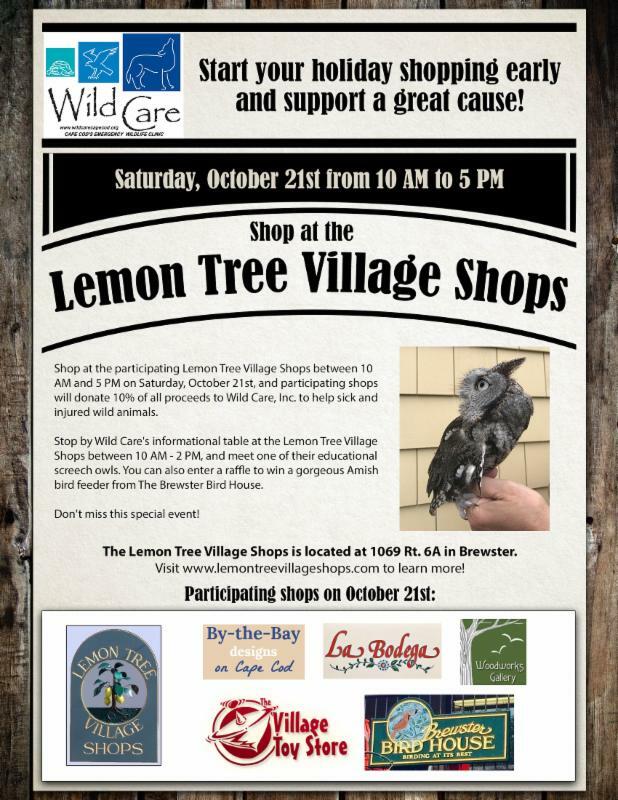 Participating shops at the Lemon Tree Village Shops will donate 10% of proceeds to Wild Care on October 21st. Stop by! SPECIAL GUEST: Stop by between 10 -2 PM to meet Wild Care's educational screech owl & enter a raffle for a birdhouse from Brewster Bird House. Wild Care is grateful for our volunteers! We would not survive without them. They assist with everything from animal care, to gardening, to facility maintenance, fundraising and much more! Since 1994, Wild Care has treated injured, ill and orphaned native wildlife for release back into the wild capable of independent survival, prevented wildlife casualties through public education and counseling, and engaged the community in conservation services through volunteerism. Wild Care does not charge the public for our services. We accept wildlife regardless of a rescuer's ability to make a donation; and we never compromise quality of care or the dignity of an animal's life for fundraising purposes.